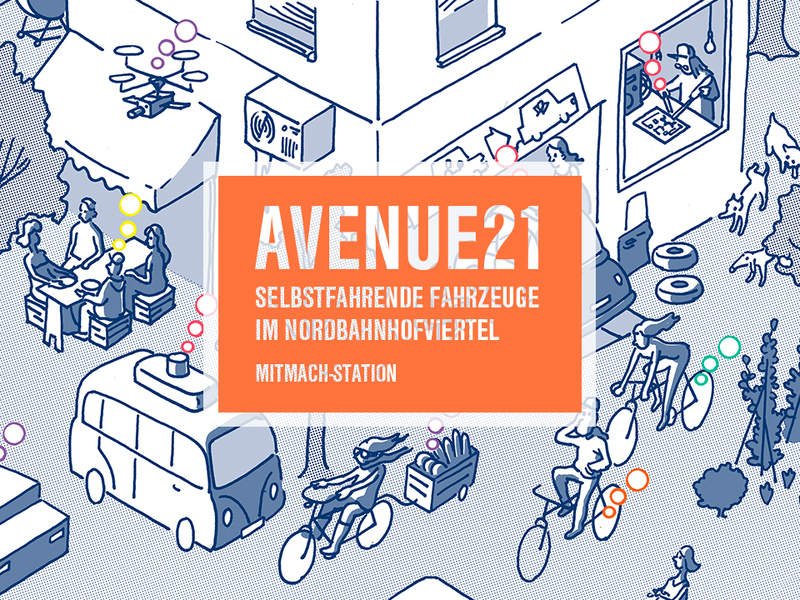 Over the last year, Avenue21 has developed scenarios to better understand how self-driving cars could impact our everyday lives. These possible futures are exhibited during the Long Night of Science (LNF) at the symbolic venue of Nordbahnhalle, part of a former trainstation that lost its role due to a change in mobility patterns. The Long Night of Science acts as the biggest event for science-communication in Austria and is a great possibility to present the findings and achievements of the local research community to a big audience in all age groups. We are delighted to present our past work and are looking forward to imaginating new mobility futures with the visitors. Following the discourse in the media, one could easily think that the widespread introduction of selfdriving devices to urban roads is only moments away. Well, the reality differs. Results of tests and research from all around the globe show that a successful introduction relies, besides of course the technical maturity, heavily on the spatial and societal context. This is why our recent research was focused on the development of scenarios of selfdriving futures. At the LNF18 we will exhibit these scenarios and invite the audience to participate in rethinking their local space with selfdriving technology. In our interactive station, visitors will recreate and try to solve everyday mobility situations also with the possibilities of new transportation technology and think about questions like: What is the role of Tech-Firms, of urban governance and of citizens in transforming our cities? To what extend can autonomous driving change the cities we live in and how will urban lifestyles change? When? 13th, April 2018 | 5 p.m. – 11 p.m.